Used on an aircraft for sensor deployment and to open and close the fuselage to lower camera. 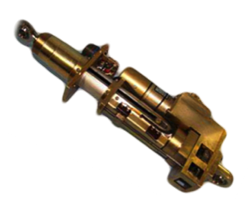 Consists of a brush motor, gear train and a linear actuator with precision screw and nut. 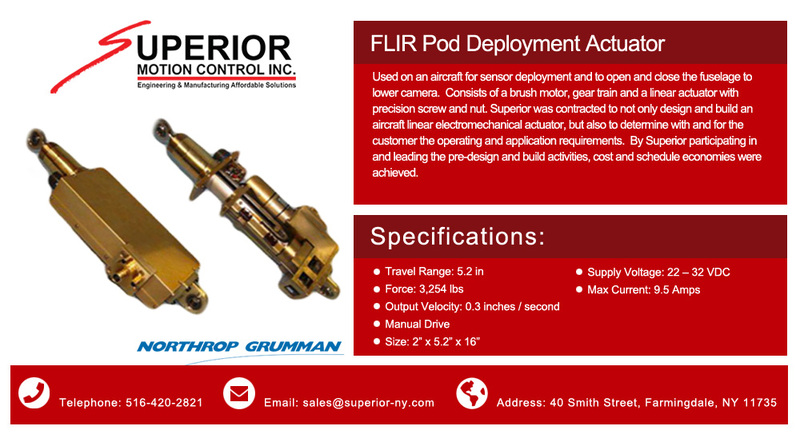 Superior was contracted to not only design and build an aircraft linear electromechanical actuator, but also to determine with and for the customer the operating and application requirements. By Superior participating in and leading the pre-design and build activities, cost and schedule economies were achieved.